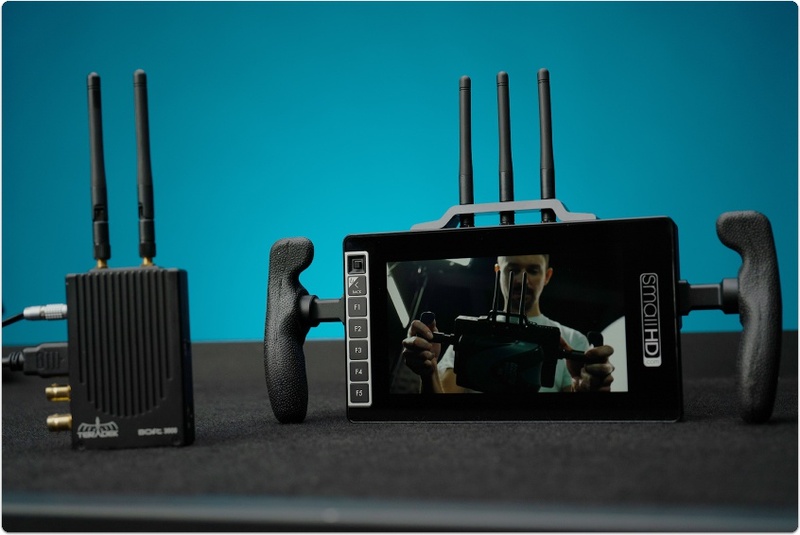 Pair a compatible Teradek wireless transmitter to a SmallHD 703 Bolt following the steps below. 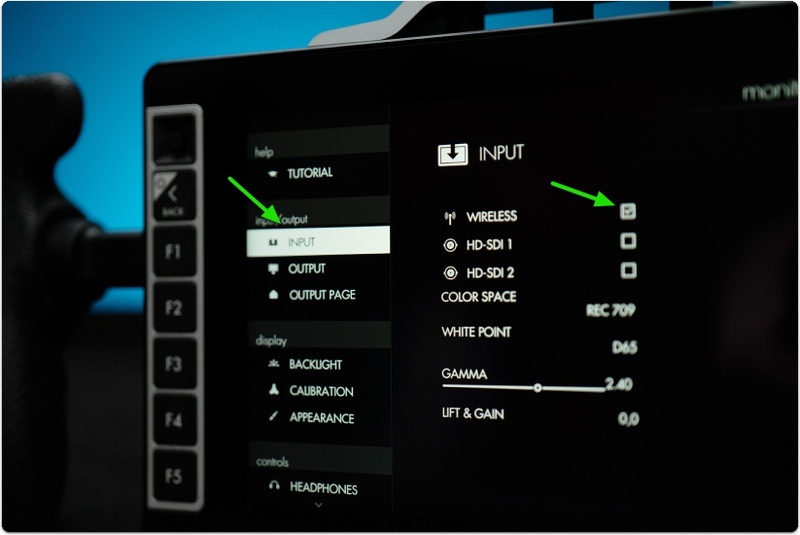 Power on your SmallHD 703 Bolt and use the joystick to navigate left to access the Settings Menu. Scroll down & click on INPUT options underneath INPUT/OUTPUT & ensure the input is set to WIRELESS. Press the Back button & navigate downward to find the WIRELESS option under the ACCESSORIES category. 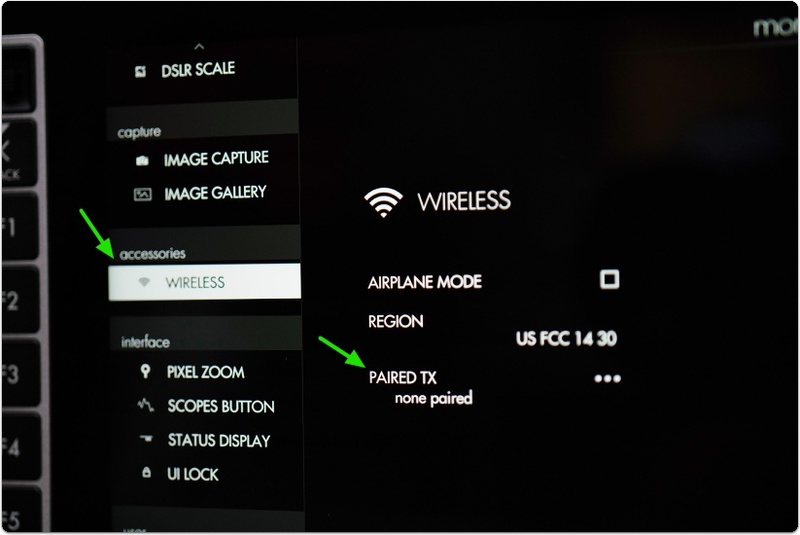 Click the joystick and select PAIRED TX to enter pairing mode which will wait for a wireless signal from a compatible transmitter. If a transmitter is already paired and you wish to unpair it, select where it says 'PAIRED TX' and then click the option to 'UNPAIR'. 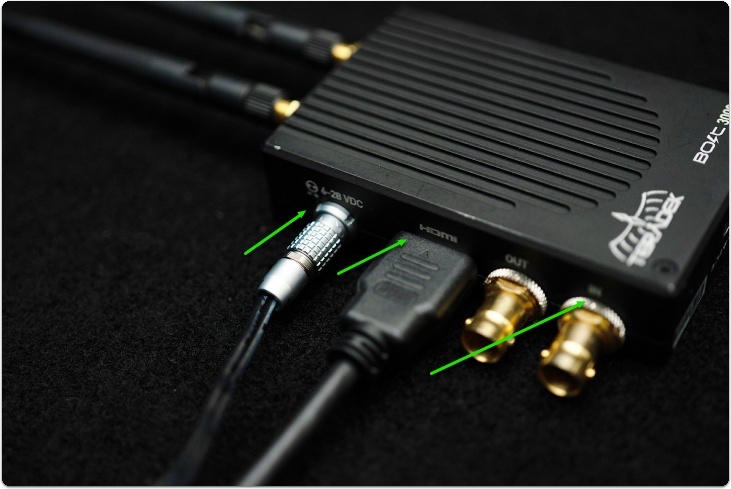 First ensure your Teradek transmitter is connected to DC power & a video source via HDMI or SDI. Select 'PAIR' on the 703 Bolt and the monitor will begin pairing which typically takes 5-10 seconds but can take up to 3 minutes in the presence of heavy 5Ghz interference. Wireless interference is a common culprit for pairing issues. If the red fault LED stops blinking without having paired, or the 703 Bolt indicates that pairing has failed - try and move to an area with less wireless traffic specifically in the 5Ghz spectrum (ie away from wifi routers, antenna masts, etc). 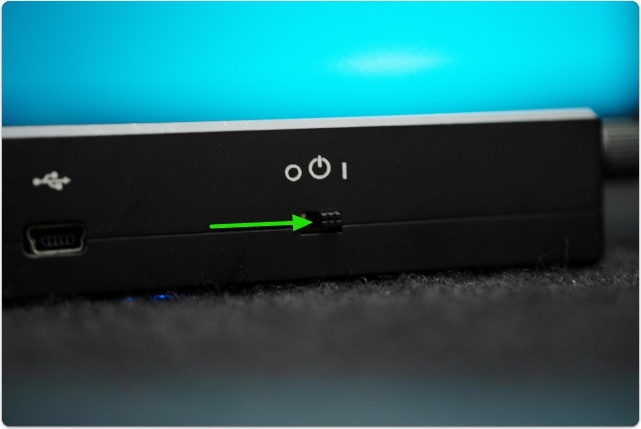 Once paired, the signal will be far less susceptible to issues caused by interference. We also advise placing the antennas of the devices around 6 to 10 feet apart from one other and adjusting them so that all they are perpendicular to one another when pairing (point one device's antennas up, point the other device's antennas toward the horizon for example). Congratulations, you're paired up and receiving a wireless signal!